In her new book, The Silo Effect, Financial Times Senior Editor Gillian Tett, clearly identifies a problem found in nearly every organization: the presence of isolated information silos that don’t communicate with each other. So you end up with duplicate processes, missed opportunities, and wasted resources. To eliminate these silos, the Harvard Business Review states that business leaders must embrace change and adopt innovation necessary for this change. Tett offers some solutions, but they might not be the most practical. 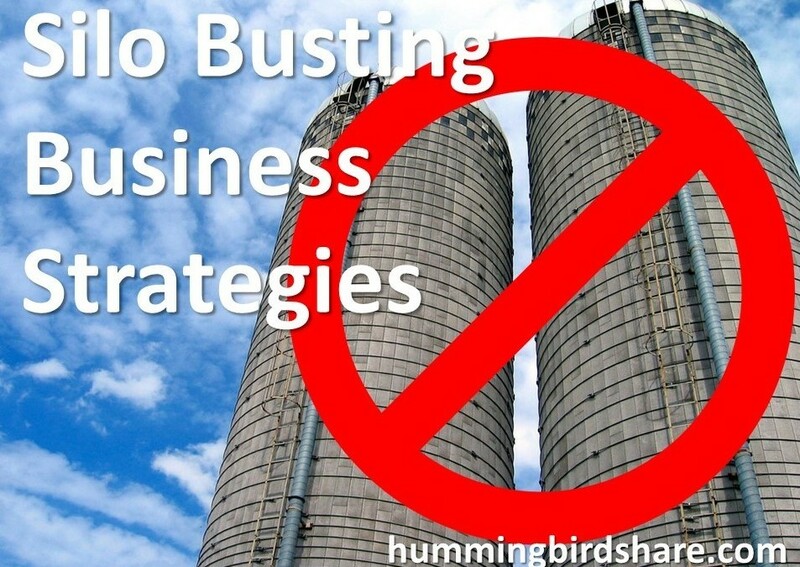 Let’s see why not and then look at truly effective silo busting strategies. One solution to overcome the silo effect Gillian Tett offers is workplace architecture modification. Of all the ideas in The Silo Effect, this might be the most misguided. Remodeling your office space or creating a whole new building will cost you lots of money, and it takes a significant amount of time that you might not have. I witnessed a very large Dutch bank do this when they built a new headquarters for many tens of millions of dollars. Then there was the multinational IT company that rebuilt their existing office buildings floor by floor at several millions of dollars per building. How many companies can wait several months to see any improvement let alone pay for the construction? Even if you have the perfect floor plan for one building, how are you going to prevent the silo effect in other buildings? What if you are a multinational and have offices in 50 different countries and multiple time zones? For arguments sake, let’s say you could wave a magic wand and instantly have an office space that encourages personal encounters. Would this really change behavior? More importantly, would it reduce the detrimental effects of knowledge silos? People might feel good to work in a cool office with lounge style areas to hang out, and this might even increase productivity – but it won’t really help overcome the silo effect. We perform the majority of our tasks on computers, so we need information presented to us there in a practical manner. Setting up the water cooler in the middle of the room isn’t likely to cause much real change. Tett goes further to suggest conferences where departments exchange knowledge. What team member doesn’t cringe at the thought of another meeting to attend? Then there’s the idea of rotating people through different departments. While this might deepen the understanding about neighboring silos and departments, will it lead to an actual knowledge sharing culture? How many people can you rotate and send to other departments? Paid incentives certainly would get some people to share more. You can buy anything, but at what cost? If it’s just to make a buck, action becomes robotic. Any real benefit, therefore, probably will remain hidden. Here Tett starts to get on the right track. She cites that the flow of information is critical for sharing. Perfect. But then she asks us to use tools such as encouragement and respect for others. Obviously these are essential in any workplace, but will this really get people to change their actions? Ignoring someone is not necessarily disrespecting them, especially when you have a million things to get done before 5 o’clock. In this area Tett begins to make even more sense. But she fails to realize the secret rests in providing tools that give people what they want. If looking into other silos actually makes life easier, getting my work done faster and more effectively, or improving recognition, then behavior will change. Theoretical arguments only take you so far, but if you can make it faster for a salesperson to close a deal, they’ll pay attention. If you give marketing a place that tells them what marketing collateral works to increase sales, they’ll participate. Plus, marketing can directly ask sales what they really want and need. But how? The key to make people share is if you can show the value in it for them. Does it help me to get my work done faster and better? Will I get recognized by my peers and manager for sharing my expertise and insights? Is it safe to share my secret sauce, or am I in danger of losing my job as a result? When you show real value, people are willing to turn from knowledge hoarders (“knowledge is power”) into knowledge sharers inside their own team and across to other departments. Forbes says that lack of knowledge, uncertainty where to get information, and perceived lack of permission are fundamental ways silos divide companies. Knowledge sharing software removes obstacles by forming a central repository of information accessible by everyone at all times. It takes very little time to get started and you benefit almost instantly. Duplication of work, one of the most severe symptoms of departmental silos, will disappear. From all the solutions presented, this is the fastest of any option to implement, takes the least effort and is very cost effective with almost instant results! These intuitive, social, knowledge sharing platforms are already being used by forward thinking companies. You don’t need to remodel your building, bribe people, or encourage anybody with flimsy incentives. You just set it up, and the intrinsic value of the platform attracts people to participate. Team members go there because it makes their jobs easier, provides them with an opportunity to get recognized and creates a “virtual village” in a geographically dispersed organization. And you watch the silo walls come tumbling down. 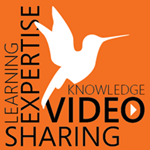 Interested in knowledge sharing software that really eliminates silos? Contact us today.